Welcome to Hotel Olympus Apartments. We have an optimized screen reader version of this site available. 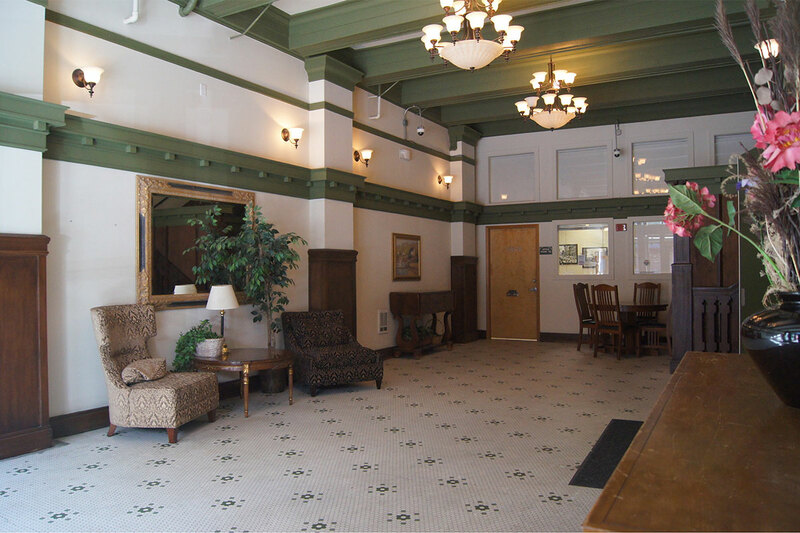 Located in Tacoma's old city hall district, the Hotel Olympus Apartments offer all the comforts of home in the heart of downtown. A short walk around the district will take you back to when Tacoma was a bustling railhead and port destination for the Pacific Northwest. Originally built in 1909, the Hotel Olympus was once part of the infamous Whiskey Row. That was the nickname given to the area between 7th and 9th streets on Pacific Avenue because they once supported a concentration of gambling houses, brothels, and saloons. The same strip now houses a variety of shops and restaurants, many of which have managed to retain their historic architectural appearance. Now the Hotel Olympus is home to individuals who value the convenience and style of downtown living along with the comfort and dependability of a professionally managed community. If the lively city life-style is what you prefer, then you will be delighted by the variety of shops and restaurants just outside your door, the convenience of the theaters, the library, the UW Tacoma campus, museums, galleries, and many other attractions just blocks away. If privacy is more your style, then you can relax in the comfort of your own apartment home with family, friends, or a good book. Whatever your preference, you'll love coming home to Hotel Olympus Apartments.